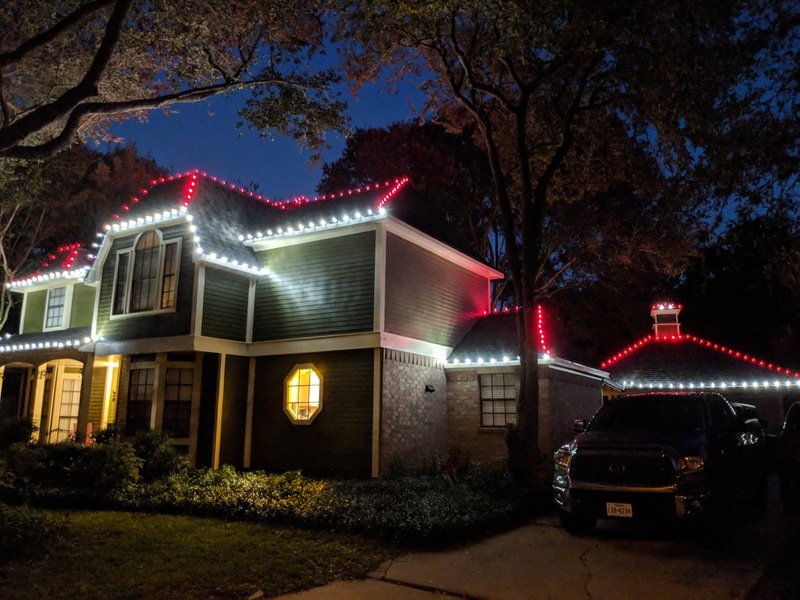 Kingdom Christmas Lights is your local Christmas light installation contractor in the Houston Texas area and we specialize in custom holiday decorations. Sure, there are many fly by night handymen that will put up your store bought lights for you but not many have the skill and expertise to custom make Christmas light strings to your home. With Kingdom Christmas Lights, you’ll have a decorative solution that shows off the elevations of your home while offering you full ownership of the lighting at the end of the season. This is one of the many reasons why KCL is the obvious choice for holiday lighting. Now that we’re on the topic of lighting, have you ever done research on the quality of LED bulbs? There’s always a new and improved LED that’s as about as frequent as the new iPhone’s that come out. It seems like every year there’s something new and you’re left with yesterdays technology while the neighbors have the best. That would happen with us because Kingdom Christmas Lights only uses the best LED lighting available in our marketplace. Today we’re offering the SMD LED which is 40% brighter than last years LED bulbs and will have your home looking great for years to come. These bulbs have a minimum lifespan of at least 5 years and the entire display typically uses less electricity than 2 incandescent light bulbs. The color selections can also set your decoration designs apart as Kingdom Christmas Lights has mastered the art of making each home look as beautiful as possible. Check out this “red tip” design which puts a red bulb at the top of every peak and one coming down on each side. Kingdom started this 3 years ago and it’s catching on fast. Due to the individuality concerns that most of our clients have, we try to only give one person in a neighborhood or section of a neighborhood the same design. See for yourself how great a color change in certain areas can really make a difference. 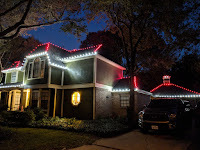 If you’re looking to get a free estimate for Kingdom Christmas Lights, all you have to do is give us a call at 346-291-4492 and we’ll give you a quote right over the phone. Our sales process is and has always been by the foot so you can rest assured that you’ll only pay for what you use. Another great feature that we would like to highlight is the fact that ever new decoration that purchased through us is warrantied until Christmas of the year that they were installed. This means that you won’t have a single worry about a bulb going out of a clip becoming unattached. 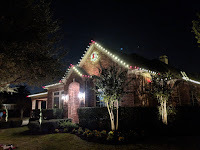 You deserve to have the best lights this year so call Kingdom Christmas Lights and let’s get it done right! You can also visit us online at kingdomchristmaslights.com to get more information about our services.